I’ll be celebrating Easter with my family who travelled from Thunder Bay to be with us. 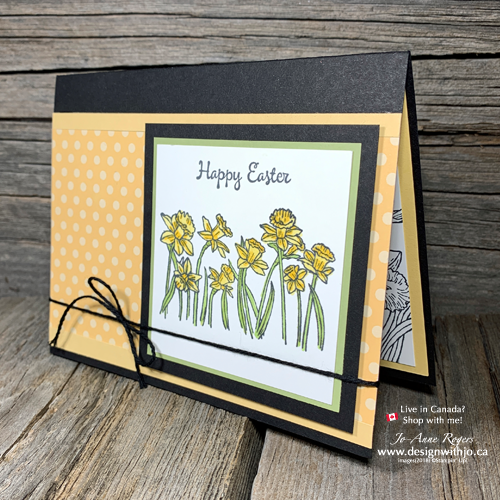 I’d also like to share my Easter greetings with you with this pretty daffodil card made with the retiring You’re Inspiring stamp set. 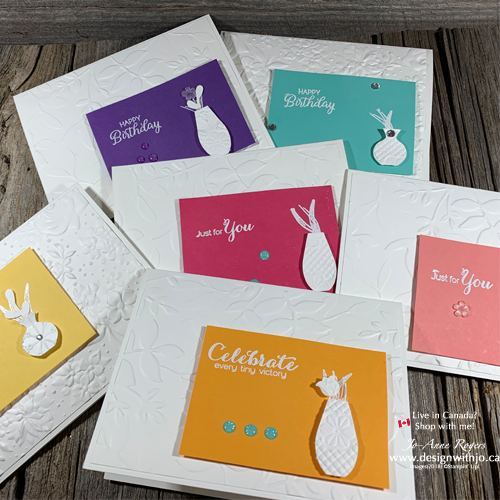 While this card is perfect for Easter, simply change out the greeting and you have a lovely spring greeting for a birthday, congrats or friend card. 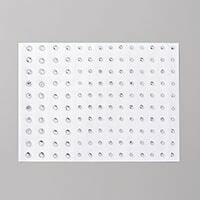 Let me give you all the measurements and steps to make this simple and pretty card yourself. 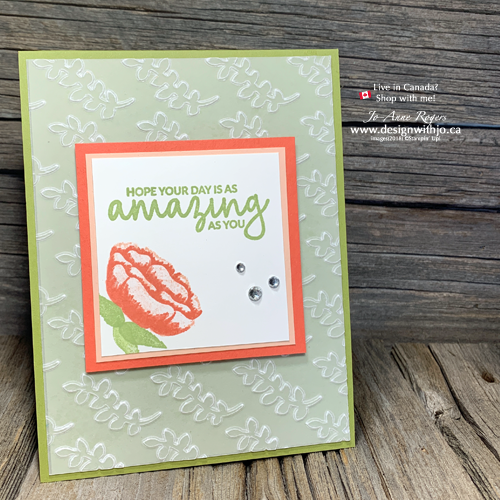 I’ve added a few different layers to pull out the pretty on this card. 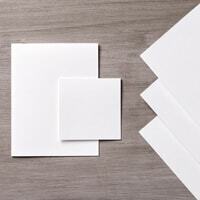 Glue patterned paper to middle of folded Basic Black card. Glue strips of So Saffron along top and bottom edge. TIP: I use little dabs of liquid glue for the small strips so I have a little bit of leeway to move if I don’t get them quite aligned at first. 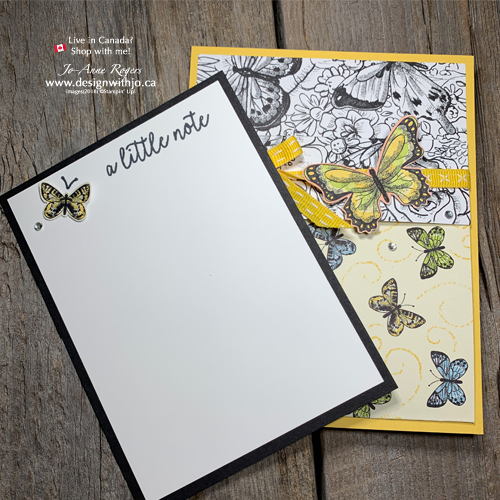 Stamp sentiment on top and flower image on bottom centre of Whisper White Thick cardstock with Tuxedo Black Memento pad. 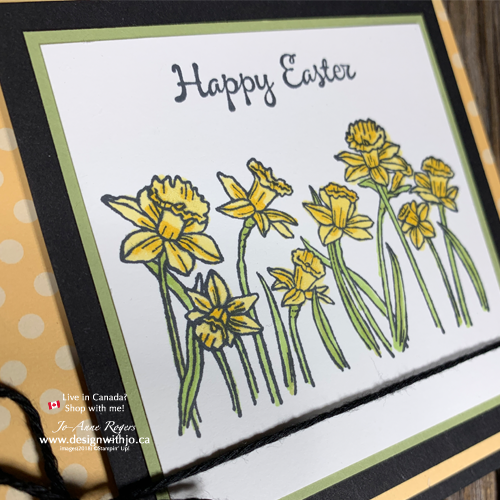 Colour with Light and Dark Daffodil Delight and Light Old Olive Stampin’ Blends. 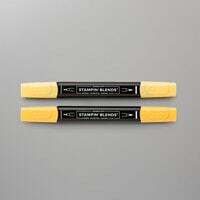 See my Top 10 best tips here for the Blends. 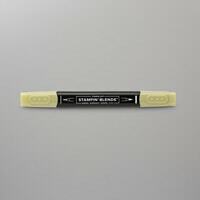 Adhere to piece of Pear Pizzazz then to square of Basic Black. Attach with dimensionals to right centre of card. 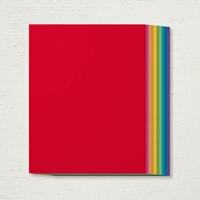 TIP: frame your piece with a large matted square for a bit more punch. 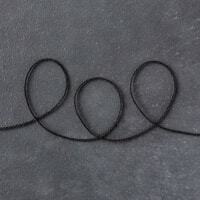 Tie piece of Basic Black Baker’s twine around bottom edge of card and tie in a bow to the left centre. TIP: start with a larger bow and pull on each end until your are happy with the size of your bow. Then trim your ends. 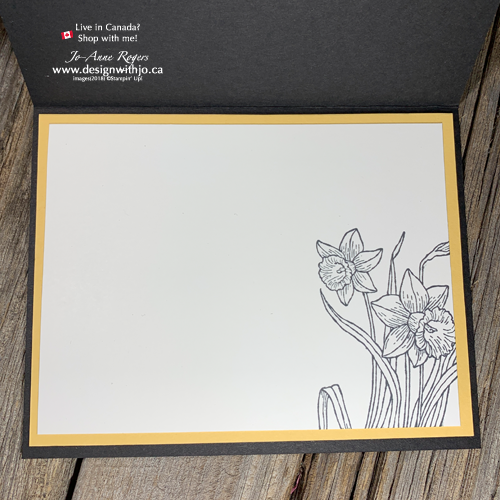 OPTIONAL: Stamp large daffodil along a piece of Whisper White cardstock (2 2/4″ x 5″) also in Tuxedo Black ink. 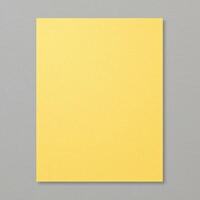 Glue to piece of So Saffron (4″ x 5 1/4″) then to inside of card. TIP: I almost always layer inside a black card to tie together the front and inside. 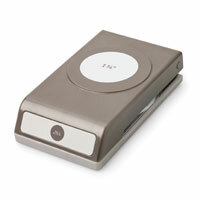 And it’s always nice to add that unexpected touch when you stamp the inside with an image and not just the greeting. What would you design with this set? 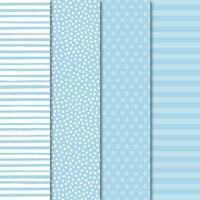 What types of cards or projects would YOU first make with this pretty set? 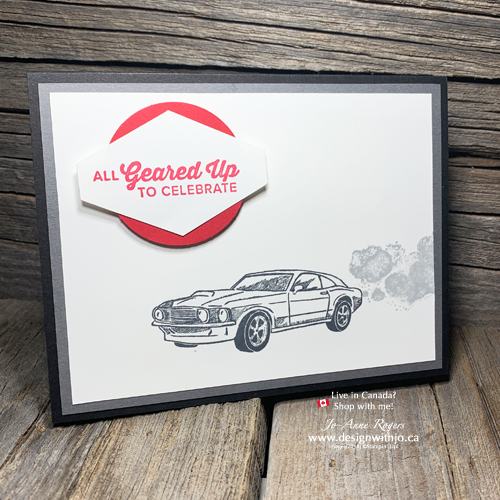 Here are all the supplies you would need to recreate this card in your craft area. 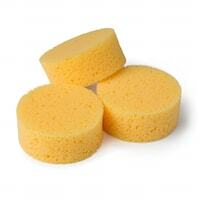 Be sure to use my host code for April ( CBPJASZX) if your online order comes to $60 CDN or more. 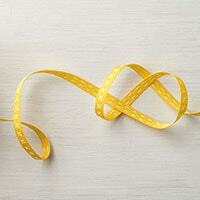 That way you can earn Sunny Rewards from me! Enjoy a wonderful day however you are spending it today. With family, with friends. Away from home or not. At a down home grand feast or a lovely Easter brunch. Wherever you are, take a special moment to thank your companions and celebrate a Happy Easter 2019. Isn’t it time for some quick & easy cards for men? Don’t you think guys get a bit missed when we’re crafting? 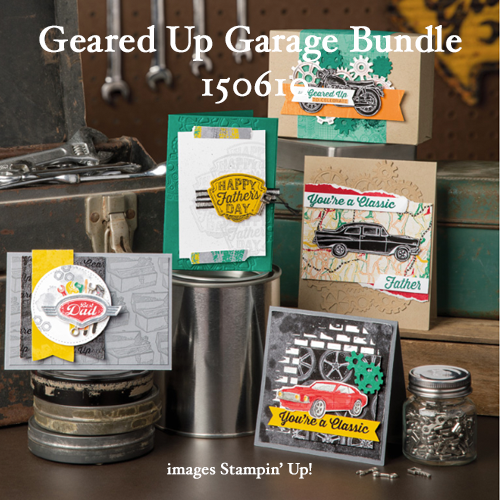 The Geared Up Garage bundle in the Occasions Catalogue is your answer to making the perfect card for him – every time! What guy around wouldn’t think this was a classic? A cool souped-up gas guzzler and lots of smoky exhaust! What more could he ask for 🤣? 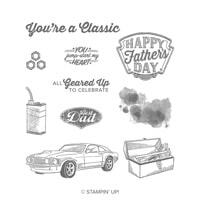 Although I’m only using the stamps today, what’s not to love about this manly bundle? OK, let me give you all the measurements and steps to recreate quick & easy cards for men. 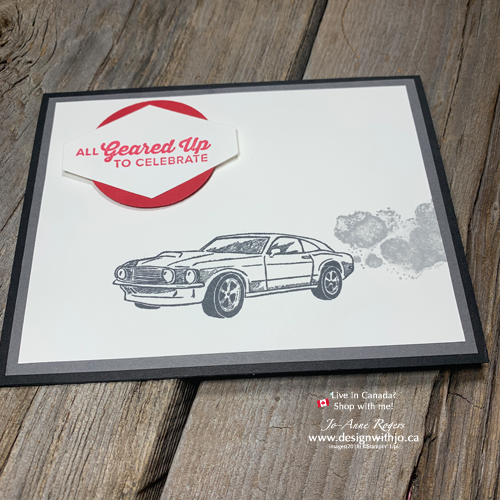 Stamp car along bottom of one piece of Whisper White in Memento Tuxedo Black ink. Add exhaust at back end in Smoky Slate ink. TIP: I thought the Basic Grey was just a bit too dark here so switched it to a lighter shade of grey. 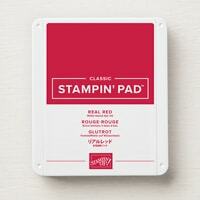 Stamp sentiment in Real Red ink on scrap of Whisper White and punch out with Tailored Tag punch. 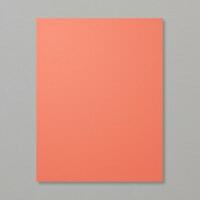 Punch out 1 3/4″ circle from Real Red cardstock scrap and glue behind greeting. Affix to top left of panel. 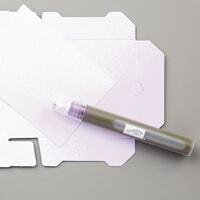 Glue to piece of Basic Grey then to front of folded card. 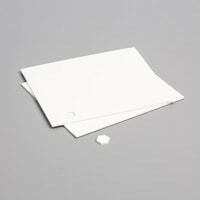 Glue last piece of Whisper White inside card. And that’s it! This one’s almost as simple as they get. But if you wanted to make it even simpler, omit the two punches and stamp the words in Real Red directly onto the Whisper White panel. 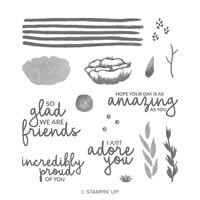 Here are some other designs from Stampin’ Up! so you can see how versatile – and masculine – this bundle is! Card making for the guys in our life shouldn’t be a bother. 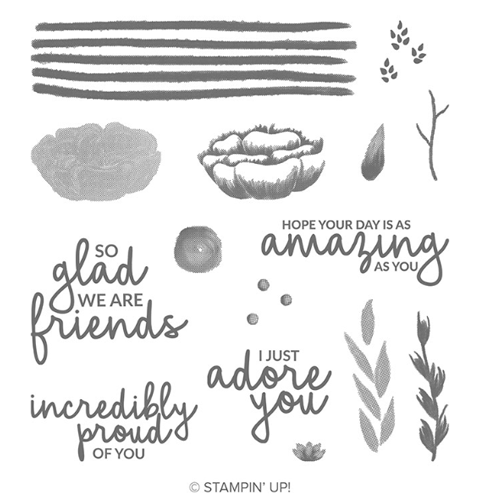 And this stamp and bundle make it easy! 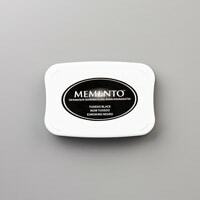 Grab yours now simply by clicking on the images below to take you directly to my 24-7 store. The simpler the better I say for guy cards. Here’s another super quick card he’ll like! 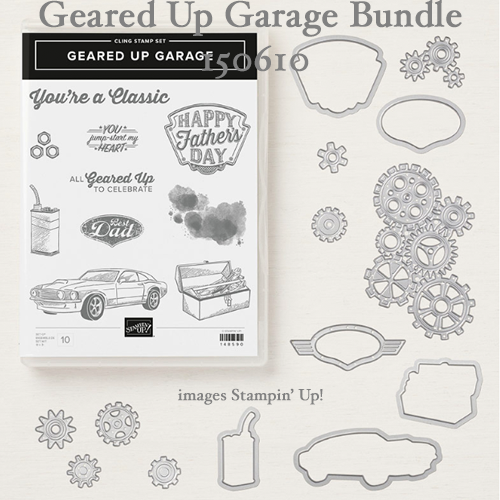 The next time you’re racking your brain for a guy card, remember the Geared Up Garage bundle. 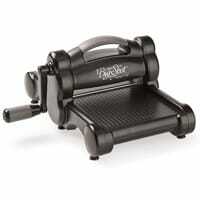 It’s got stamps for so many occasions and MANLY man images and embellishments. I know he’ll appreciate receiving these quick & easy cards for men – and you get to save time too! 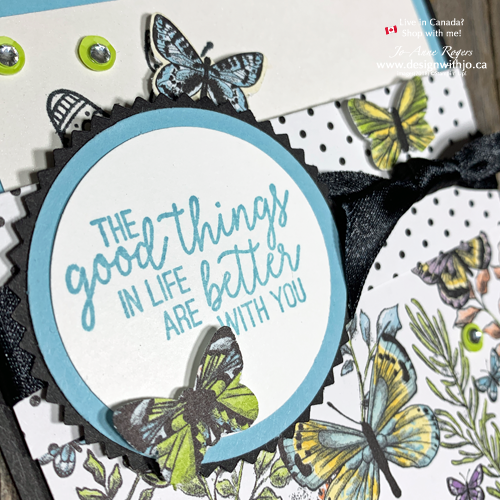 I’ve got a simple pocket fold card video for you today to celebrate the LAST day of Sale-a-bration 2019 using the Botanical Butterfly designer series paper! Time sure goes quick when you’re having fun! 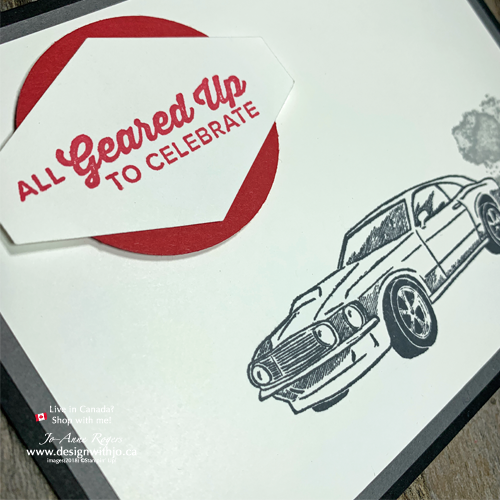 And this has been one of the absolute best Sale-a-bration events in Stampin’ Up! history! 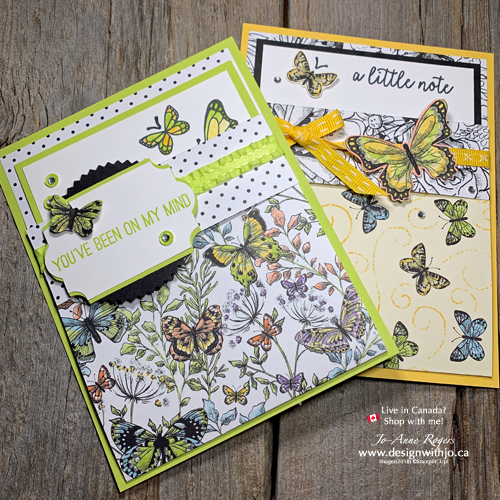 Three different releases full of lovely stamps, framelits, gorgeous papers & embellishments. I hope you got everything you wanted for FREE during this fun event. You still have until midnight TONIGHT, March 31st to place a $60 CDN for free items. 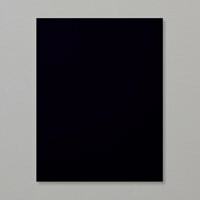 See everything still available here. 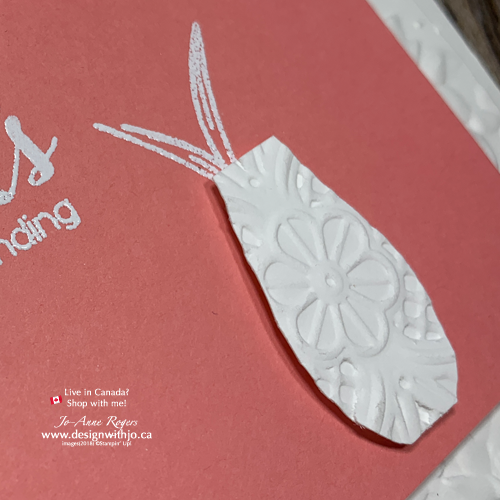 Let’s take a peek at our fun fold card made with our Stampin’ Trimmer. 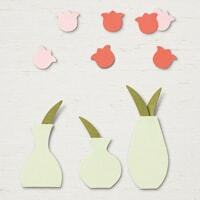 Make a few of these in lovely spring colours to share with family and friends. They make super birthdays, friend, congrats or Easter greetings. 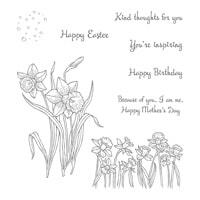 Then I’d love for you to share your design over on my Facebook group, Design with Jo VIPeeps. 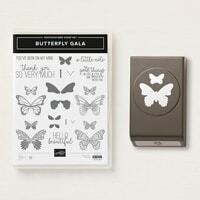 To purchase the supplies and get your Botanical Butterfly DSP free, all it takes is a $60 CDN order TODAY, March 31st! And when you use my host code N7METAYB on your order, you’ll get Sunny Rewards from me too. 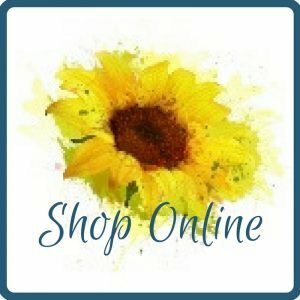 Thanks for shopping with me! Which design will YOU start with? 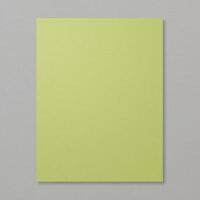 The Lemon-Lime Twist double-up-your-embellishments duo? 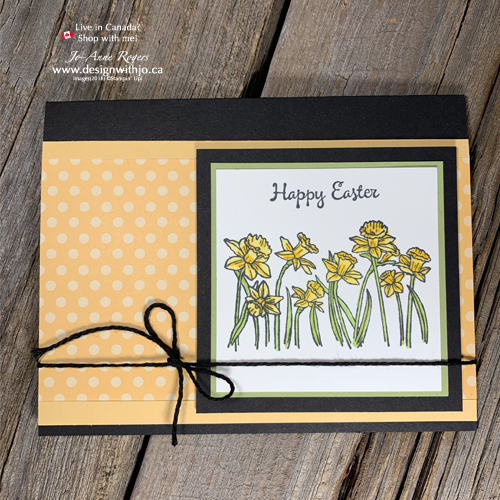 Our cheery little Daffodil Delight note? Or the Trio of Tiny Butterflies I made in the video? 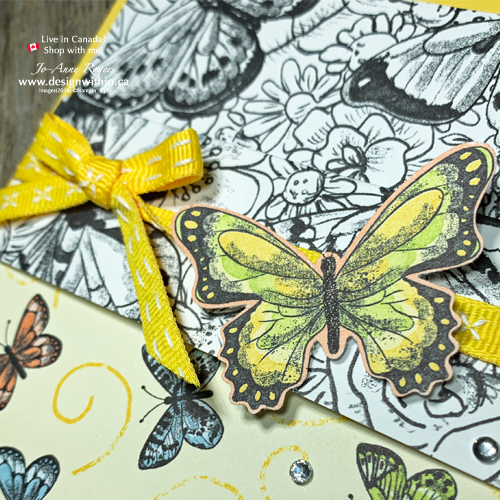 Papercrafting CAN be quick & easy – this card is proof positive. 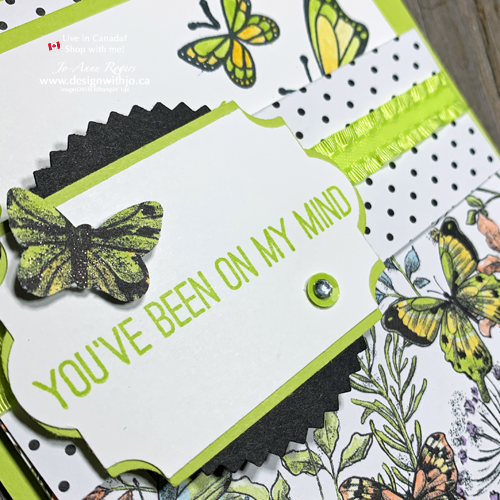 And if there’s any tool that works overtime in your stamp room to help make your designing easier, it’s your Stampin’ Trimmer. 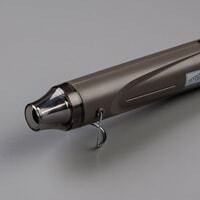 Accurate cutting and scoring in one little tool that will last you for years! 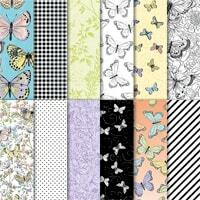 I love being able to share designs with you for fast yet lovely paper crafting projects. Please drop back again to see what other design tricks I’m sharing. 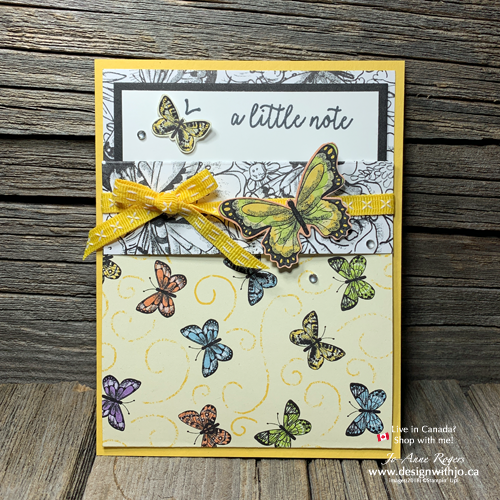 I promise you it will be different than this simple pocket fold card – but equally as fun and fabulous! 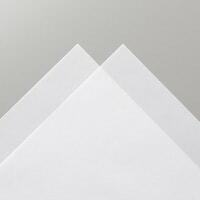 After a week off work recuperating from a too busy couple of months, take a look at these simple triple embossed handmade cards. 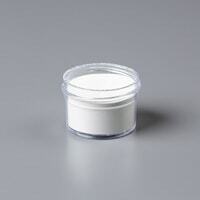 Like several of my posts, today I want you to get a bit more out of your crafting supplies! 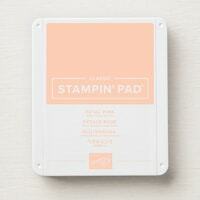 This time, both your embossing folders and punches! 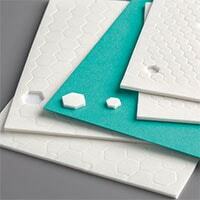 But first, can you pick out the three different embossed elements? On the one above, the DEBOSSED side is facing out (indented flower). 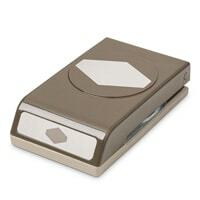 This one is reversed and the EMBOSSED side is facing out. OK, here’s all the deets to you can make one yourself. 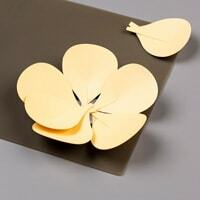 Emboss your piece of regular Whisper White cardstock with the Layered Leaves or Country Floral dynamic embossing folder. 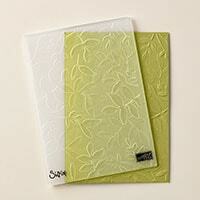 TIP: You can get the gorgeous Country Floral folder shown above free now until March 31st with a $60 CDN order. 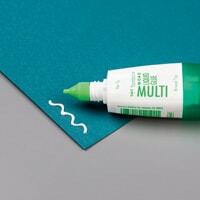 Glue to the center front of your folded card. 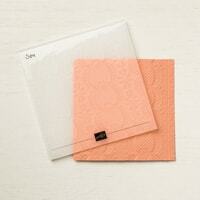 Run your smaller scrap of Whisper White cardstock through your Big Shot with the Lace Dynamic embossing folder. 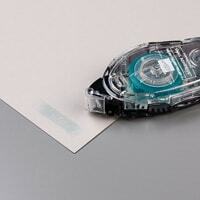 TIP: Ensure you are only using your Big Shot Platform and only ONE standard cutting pad with the dynamic embossing folders. 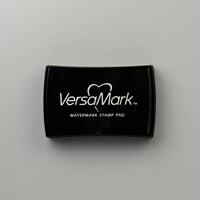 Stamp words on top left with Versamark ink. TIP: Rub lightly with your Embossing Buddy before starting to stamp. Place punched out vase on bottom right to eyeball placement of stems. Remove, then stamp leaves two times so they will extend above the vase with Versamark ink. 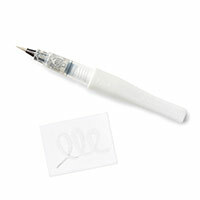 TIP: Stamp two times with the pointy part of the leaf pointing up, then turn stamp upside down to stamp third one. 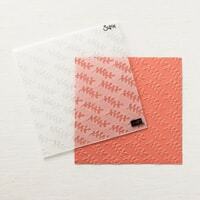 Sprinkle with white embossing powder and heat. Adhere to front of card with dimensionals. Adhere vase over top of leaves with mini dimensionals. 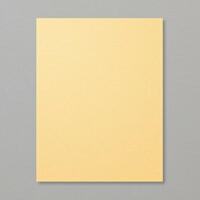 I enjoyed this card so much, we made some in my last Koffee and a Kard class. Here are some of the designs. See how some have a tulip or a sprig from the Sprig Punch for a bit more foliage. A few sparkly embellishments fancy them up even more. Each of these colours comes from the Brights assortment package of cardstock. 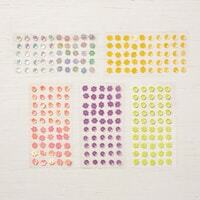 These assortment packages are a super way to get a taste of all the colours in a family. Isn’t it great that every colour looks just as wonderful as the one next to it? 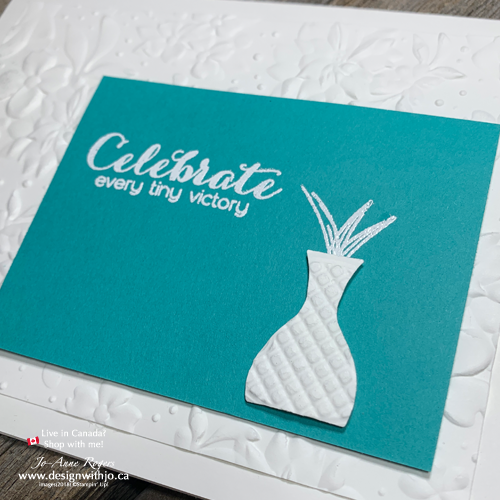 That white embossing really pops! Is your mind whirling with all the possibilities? I’m curious which punch you’re going to start with? 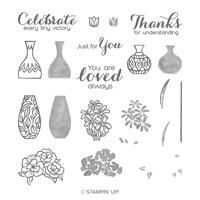 You might already have the Vivid Vases stamp set and Vase Builder punch. And if you do, this card is definitely for you! 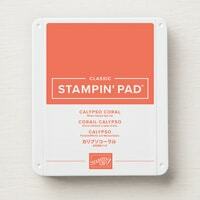 And if not, I’d love it if you purchased your stamps and punch with me to make your own! Thank You! 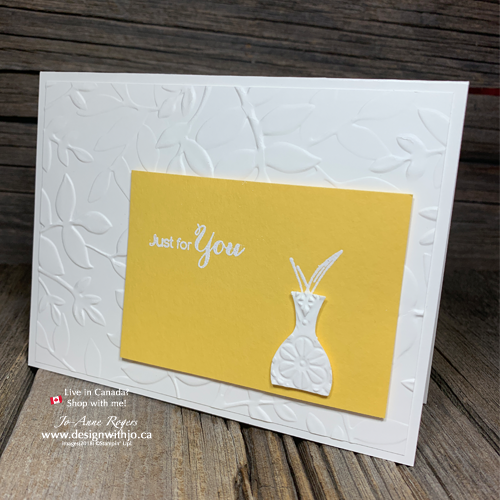 For another super simple idea with the Vase Builder punch, click here. 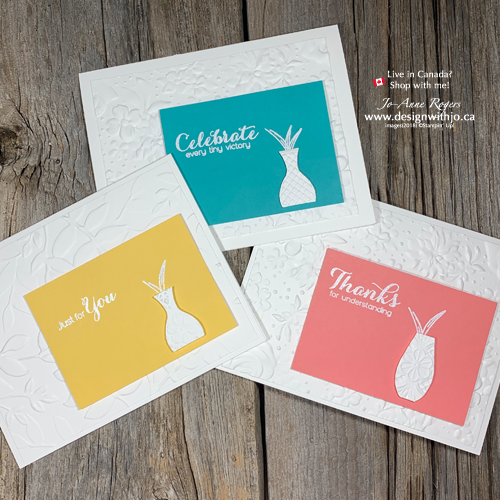 Here are all three of my cards, two with a Country Floral background and one with Layered Leaves. Which one appeals to you the most? I think the draw with these pretty cards is the simplicity. 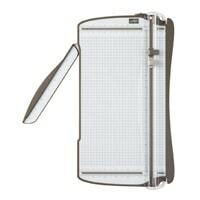 With some unexpected design details that makes the recipient take a little closer peek at what you created! Give them a try! I bet you’ll love these simple triple embossed handmade cards too!